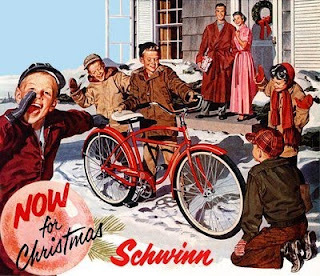 One thing that has changed since the retro days of old are the television ads around Christmas time. 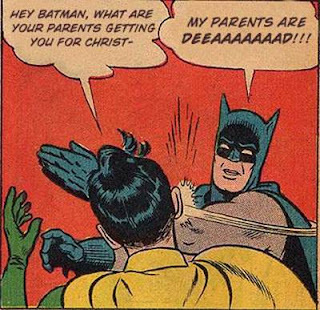 Sure even back then, advertisers were trying their hardest to get you to spend your hard earned dollars on bigger and better gifts for little Timmy or that special someone but they weren't smacking you upside the head with the message or trying to make you feel like less of a human for not spending more for a bigger, better gift than you bought last year. There was always a beautiful Christmas scene with snow and a happy family sharing a magical Christmas moment with tender looks and gentle hugs. Then while sipping on hot cocoa, mom would present a beautifully wrapped gift to little Cindy who opened it and beamed like the little cherub she was to the delight of the whole family. Of course nowawdays they show little Cindy freaking out because she didn't get a 3g iPhone or a new car with a big bow waiting for her in the driveway. Meanwhile dad is sleeping on the couch because he thought a new blender would be the perfect gift to go with the Slap Chop he bought mom for her birthday. Was it really necessary to hurl it at him like that? How's he supposed to return it now? With that in mind, let's take a look at a couple of Christmas ads that you'll remember and will warm you up better than any Snuggie ever could.